Friends, a few days ago another regular batch of aid items purchased with money which you donated to the Essence of Time unit had arrived. Warm boots, helmet caps, camouflage tents, and camouflage clothing for snowy weather. 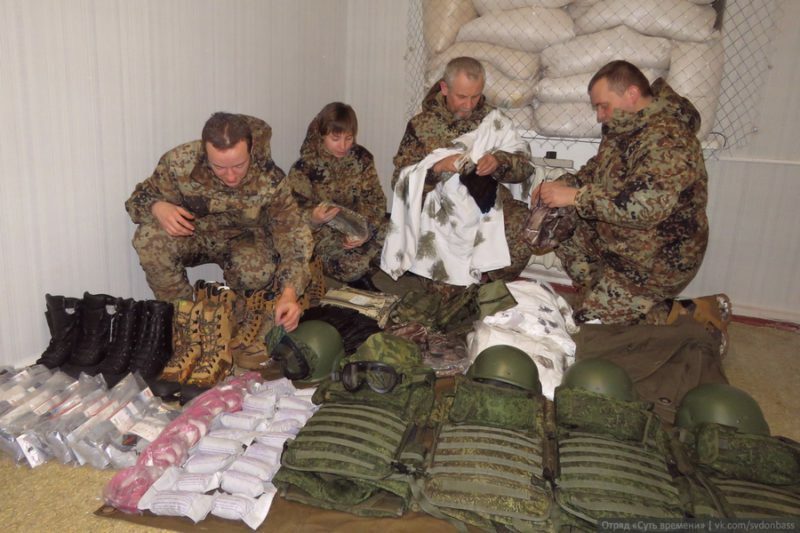 Warm socks and gloves, arafatka (kufiya scarves), fifth-grade bulletproof vests, helmets and safety eyewear for military duties. There is also a batch of military medical items including 5 large first aid kits, tourniquets, and individual field dressing packages. Many thanks on behalf of our servicemen to all who help and support our unit! This entry was posted in News from Ukraine and tagged “Essence of Time” unit in Donbass, Classical War, DPR, Humanitarian aid. Bookmark the permalink.